I removed this cover from my 2005 Jimny in the hope that it may fit My new one but it is too tight. 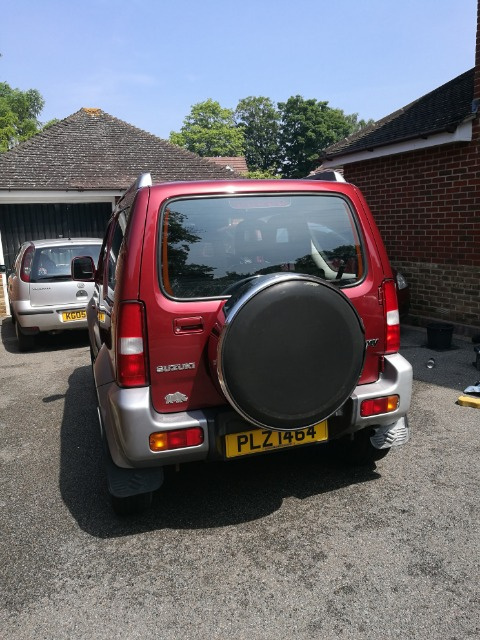 I traded the car and within 24 hours it was with another trader so I cannot put it back and is now free for a Gen3 Jimny owner that can collect. It is the stainless steel locking band type and a picture can be seen on my earlier for sale thread for the car. It is a little more tired than it appears in the pictures and could benefit from some elbow grease to clean and polish but is perfectly useable and still has a working lock with keys. I do not think it is genuine Suzuki. Can be collected from Surrey / South London inside the M25 not too far from Sutton. Spare wheel cover is still available if any interest.